How is it Monday already? And where has the sun gone? 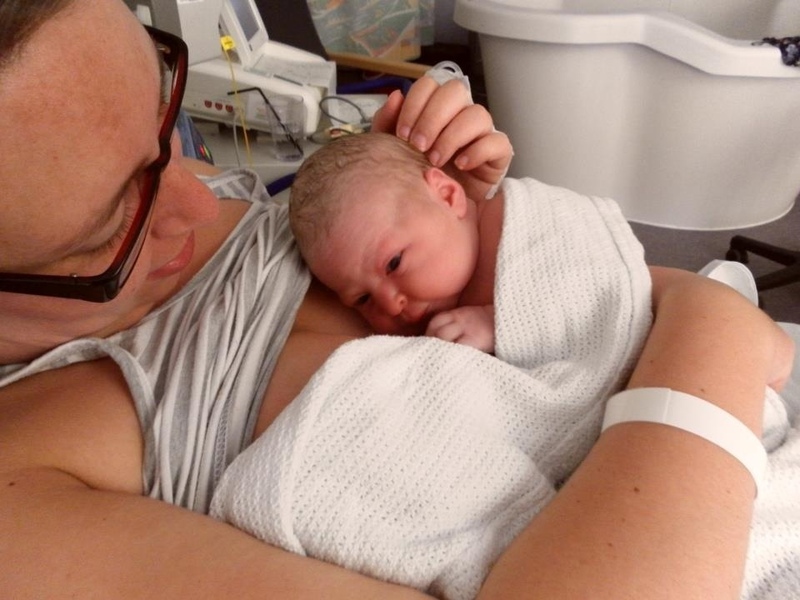 Well here is another lovely birth story from a very special friend to brighten up your day. Katie and I met on the first day at uni when we were training to be midwives 10 years ago. Wow that seems really weird. Little old me from London venturing out on this new life in Bristol to become a midwife. I remember seeing Katie and admiring her tan (she had just been travelling in Australia) and we became friends from that day on, living together in our final year. 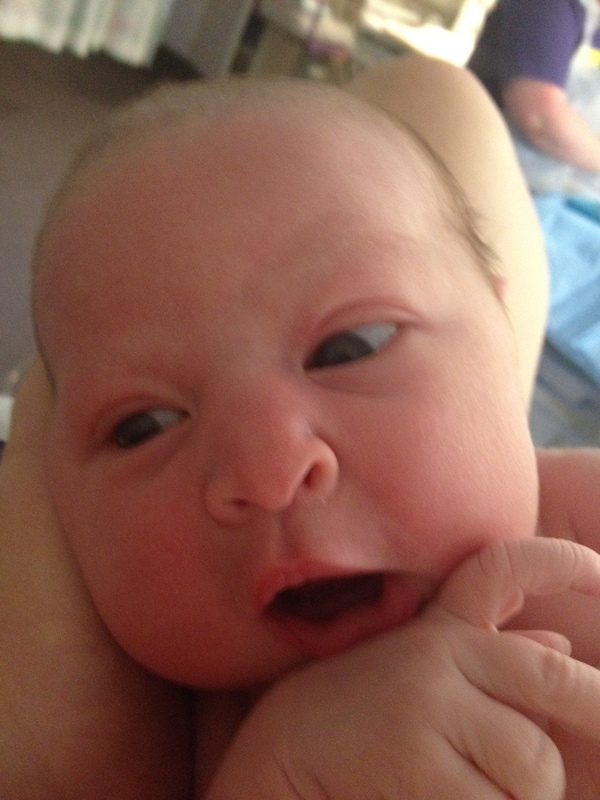 Katie has recently become a Mummy to little Chubs and here is her story. I think it’s been long enough now that my memory has faded enough to give me the rose-tinted glasses when I look back on it all. In fact, I’m thinking about the next one – it wasn’t that bad, I’ll have a home birth next time! !I was convinced I was going to be early with Chubs, all my friends who had had babies recently had delivered at 38/39 weeks so I definitely would too, of course! 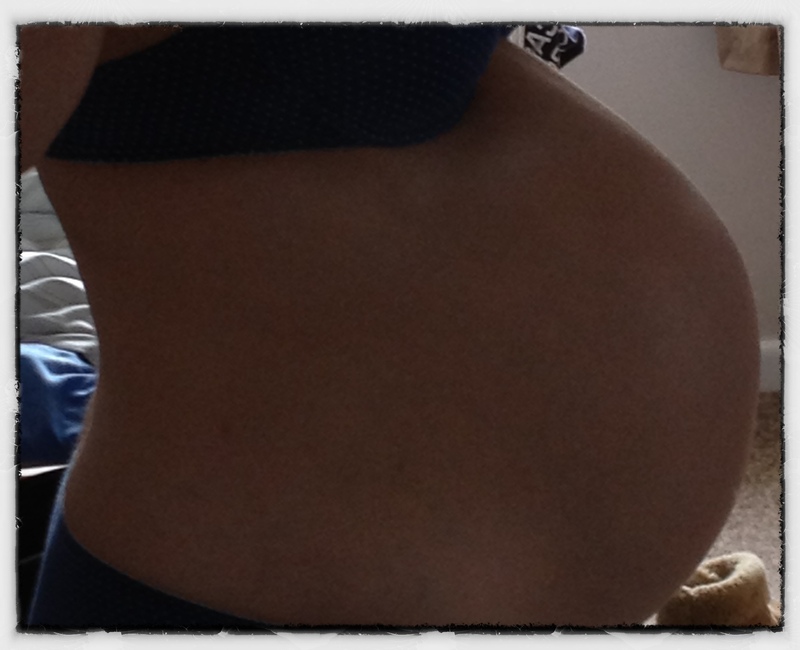 But, 38 weeks then 39 weeks passed me by and I reached my due date with no signs. Nothing at all. I spent the day making curtains for the nursery with my mum to occupy myself and prepared myself for my ‘new’ due date of T+12 when I’d be induced.Nine days later, on a Sunday evening, the day before my boyfriend was supposed to start his new job, I started feeling a bit uncomfortable. I warned him he might not be going and concentrated on cooking a roast dinner. (I had already polyfiller’d holes in the dining room and done a big supermarket shop that day!) About 9pm I took some paracetamol and sent Boyfriend to bed to get some rest as I had a feeling it was going to be a long night. I had a bath and started using my Natal Hypnotherapy breathing techniques but it was too much. At 1am we went on in to the hospital. I was slightly disappointed to find I was 3cm, I should be more, surely?! Although bearing in mind I had been unable to have a sweep 3 days before, it wasn’t so bad.I was left in the quiet, dark room for a couple of hours before getting in the pool. Ohhh the lovely, lovely pool. It was so warm and quiet and just wonderful. I relaxed a little too much though and my contractions died off. By this time it was 6am and I was so tired. My hypnotherapy breathing just wasn’t cutting it any more and the gas and air just made me feel weird. I decided to have an epidural to allow me to get some sleep. As the contractions had sodded off and I’d only managed to get myself to 5cm I was also put on the hormone drip syntocinon to give my body a bit of a kick up the arse. I spent the day dozing, eating toast and chatting with Boyfriend and various colleagues who popped in to say hello. My epidural was awesome, I couldn’t feel any of the pain, but could move my legs about easily. By the afternoon I was feeling really strong pressure and felt I needed to push. I might have been a bit crap at labour, but pushing I loved! I was determined to give it some welly. I remember saying to my midwife ‘they lie to you at uni, babies come out of your bum, I know they do, I can feel it!’ It was hard work, but felt good to be productive and doing something finally.38 minutes later, at 16.08 my beautiful, perfect, squashed little Chubs arrived and my life began.